There comes a time in everyone’s life when a few possessions need to be put away for safe keeping in a storage unit. Unfortunately, not all storage units are the same. Some units are temperature controlled, but others are not. Certain storage units are built to protect the items inside from the elements, while others are little more than four walls. Either way you look at it, shielding your possessions is important. At times, some manual precautions are needed. Protecting clothes in a storage unit is especially difficult. Clothes are made from a variety of materials, each of which responds differently to weather and atmospheric changes. Simply placing your items in a box or a tote is not going to render the results you desire. In fact, doing so is often the equivalent of just throwing your items in the trash. You need lots of packing paper, boxes, packing blankets, and pads. These items can be used to shield your items from weather conditions, as well as from any rodents or insects that creep into the unit. While boxes work wonders in a storage unit, keeping your clothes in the dresser or chest you use at home is a great way to add an extra layer of protection. It’s easy to build makeshift shelves in a modern storage unit with the right tools. The shelves don’t need to be fancy at all, just sturdy and placed high enough to keep your items away from moisture and pests. 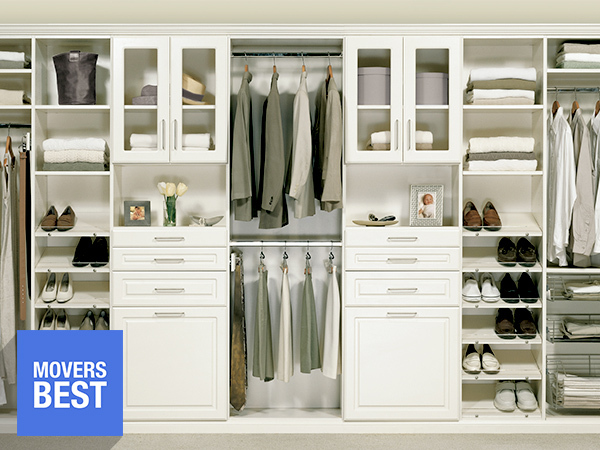 If you have an armoire, entertainment center, or table with drawers, it’s easy and inexpensive to store clothes inside. Those spaces will mostly like set empty until you clean out the unit, so use them to your advantage and keep your fabrics protected. No matter what you use, be sure to keep all your stowed away clothes in a high and dry place. If using bigger furniture to house your stash, place a blanket or packing pad underneath to absorb excess moisture. Fill all your boxes to capacity to prevent collapsing. Label all your boxes, shelves, and spaces so you know where to find the items you need when you need them. Opt for a temperature controlled unit if possible, even if it costs more than a standard unit. Wrap your clothing in durable plastic before placing them in boxes or compartments (use: shopping bags, trash bags, shrink wrap, tarps, etc.). If possible, store your clothing items separately from tools, appliances, and flammable materials. Getting the most out of your storage unit isn’t nearly as difficult as living without your favorite items because they were ruined. Take the proper precautions now and save yourself a lot of trouble later. If paying monthly for a storage space, be sure to keep your account current because your stuff could be sold out from under you to absorb the debt.